SmartRV is the exclusive New Zealand distributor of Bürstner, which is renowned for its award-winning innovation. The Ixeo I is a modern motorhome with a seamless integrated design, clever use of storage, and practical yet sophisticated interior styling. SmartRV will stock three models: the Ixeo I 729, Ixeo I 736, and Ixeo I 744. All three are 7.5-metre-long and offer four beds in three different configurations: single, island bed, or a rear lounge set-up with an electric drop-down bed. 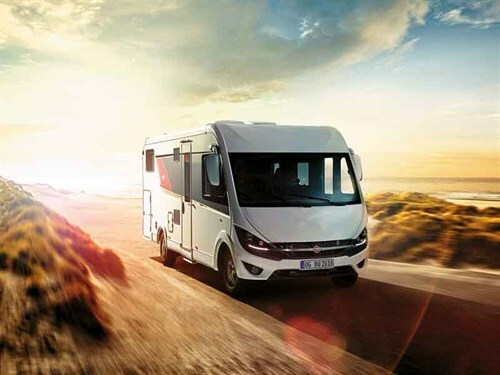 The Ixeo I offers a range of top-quality elements as standard: a comfortable fold-down bed in the cab, Thermo Floor double floor with no interior steps, a wood-free body with XPS insulation, aluminium windows, extra-large entrance door, and 1.98-metre headroom. The Ixeo I is also suitably equipped when it comes to safety, with driver and passenger airbags as standard, ESP including ASR, hill holder, and traction plus, as well as ABS (anti-lock braking system). SmartRV sales manager, Samantha Kidson, says she expects the new Ixeo I models to prove hugely popular with Kiwis, who appreciate a roomier experience on the road. "This is another very clever and very smart model from Bürstner, who are the market leaders in innovation. These motorhomes have a wonderful feeling of openness because they have a seamless integrated look and feel. They’re also a great size to drive on New Zealand roads, yet still give you the feeling of space." The interior is also well suited to the Kiwi lifestyle, featuring Bürstner’s innovative ‘Wohnfühlen’ design, which translates as ‘wellbeing’ or ‘comfortable living’. Features include use of softer natural hues in premium long-wearing fabrics, soft close drawers, fold-down kitchen storage, scratch-resistant worktops, premium fittings, LED night lighting, and additional USB ports. Samantha says the Ixeo I ticks all the boxes for Kiwi motorhomers. "It’s a brand new line for the market here. 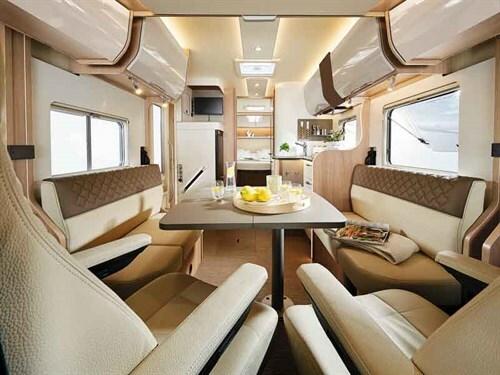 A premium class RV with all the bells and whistles tucked into a 7.5-metre motorhome."